Search Google Maps online to find a live map of any location. Note: There must be an active internet connection for the Google Maps tool to work. 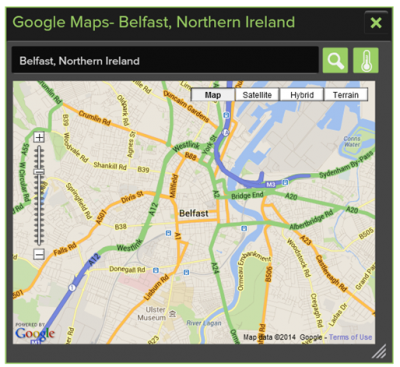 Using the search bar, enter a location and click or tap the search icon to search Google Maps for the desired location.